Moving from NJ to Phoenix is an exciting time in anyone’s life, regardless of whether you are relocating for work or to be closer to friends and family in Arizona. Having a qualified moving provider on your side can help ease the transition to your new home, and Simonik Moving & Storage has been the most trusted choice for professional moving services since 1977. 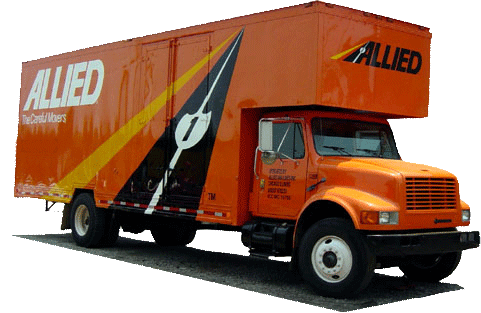 With BBB-Accreditation and an agency with Allied Van Lines, our commitment to exceptional quality shines through all of our moving and storage services. We’re proud to be part of a nationwide network of moving professionals, and our unparalleled resources give us the capability of handling any size household move throughout the United States. Whether you are moving a small apartment or a large family home, it is important to choose a moving provider that understands the unique challenges of residential relocation. To help you get started on the right foot when moving to Phoenix from New Jersey, Simonik will come to your home to give you a free estimate of your moving costs. From there, you will be assigned a personal Relocation Coordinator who will be with you every step of the way to walk you through the moving process. If you need some additional time to complete your move from New Jersey to Phoenix, Simonik also provides flexible short and long-term storage solutions to keep your belongings safe in the meantime! During their stay at our secure facility, your items will be packed in containers designed for long-distance shipping—ensuring that they will remain dry and undamaged for as long as needed for you to be ready for them to arrive at your new home. As the region’s most trusted moving provider, Simonik is proud to serve households throughout North and Central Jersey, including Hunterdon, Mercer, Middlesex, Monmouth, Morris and Somerset counties. Our premier team is a past recipient of the ‘Mover of the Year’ award from the New Jersey Warehousemen & Movers Association, and we’re also a trusted ProMover member of the American Moving and Storage Association—giving us access to up-to-date requirements associated with making a move from NJ to Phoenix. With quality service and guaranteed pricing, there’s no better choice than Simonik Moving & Storage to handle all of your NJ to Phoenix moving needs! To learn more about our moving services, just give us a call today. You can also fill out our online quote form to easily request your free, no-obligation moving estimate.